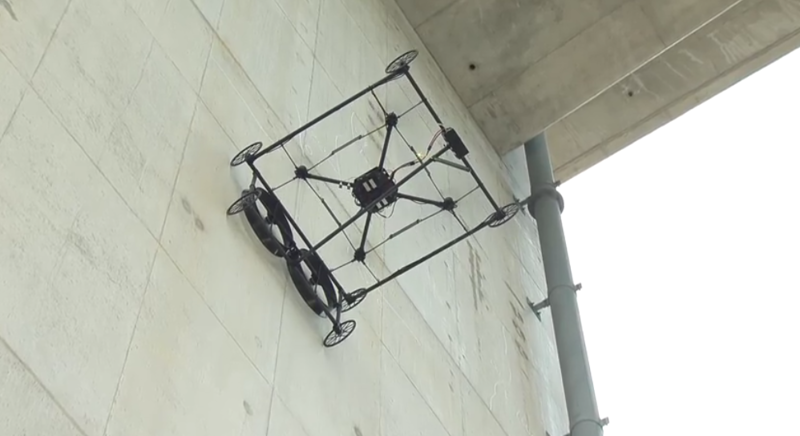 Prodrone, based in Tokyo, Japan, has released a self-propelling surface-clinging drone which is able to inspect both ceilings and vertical surfaces. The PRODRONE PD6-CI-L uses negative pressure to cling to a wall or ceiling, making it much more stable than traditional drones that can be buffeted by wind gusts. The company says the PD6-CI-L is an excellent choice for the civil infrastructure inspection market.